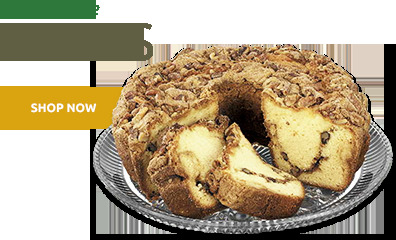 Enticing chocolate-covered almonds, colossal California pistachios, and the rich sweetness of the almond butter crunch - all delicious by design. 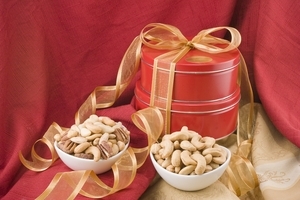 These heavenly Nut Gift Towers will delight your taste buds, easily quell the most voracious snack attack, and still make a yummy gift for someone you love. 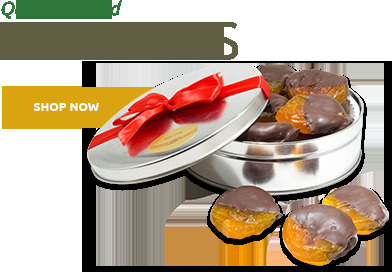 Looking for a unique gourmet gift, thoughtful holiday treat, or an impressive corporate gift idea? Look no further than our Gourmet Tower of Treats with its giant whole cashews, and jumbo California almonds. 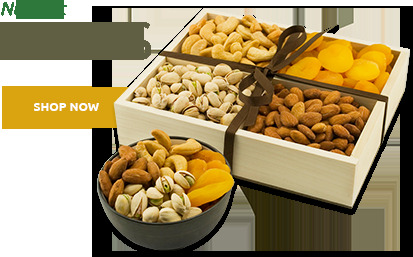 All of our delectable Nut Gift Towers come in decorative boxes and colorful tins adorned with beautiful ribbons. 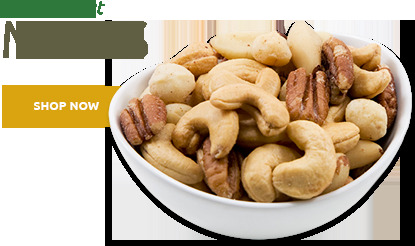 Premium packaging that holds a variety of scrumptious nuts perfectly roasted in small batches. Consider the Royal Chocolate Tower, a fitting title, after all chocolate and nobility enjoy a long history. 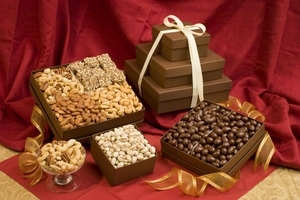 Chocolate was once used as currency in Europe, and called by its nickname, "black gold." 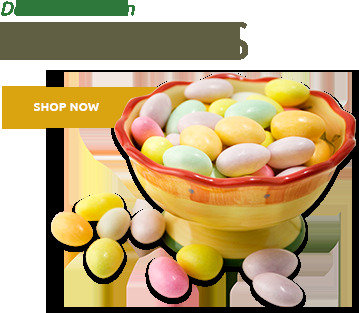 The story behind chocolate spans well over 2,000 years. During the 14th century, only those in a position of reverence and authority in Aztec and Mayan societies were allowed to drink chocolate. Legend has it that consuming chocolate instilled strength, health, faith, and passion in those who ingested it. We'll let you be the judge of that.